Hello Internet friends and happy Tuesday to you! As far as formula, nearly all of these swatched nicely with just two coats. One shade did need three coats, and the toppers were just one coat when used over another color. Jack is a beige/tan creme. Missy is a bubblegum pink creme. Minnie is a coral pink creme. Sandy is a flamingo pink creme. Saldana (over Sandy) is an iridescent shimmery pink topper with light blue glitter pieces. Virginia is a tomato red creme. 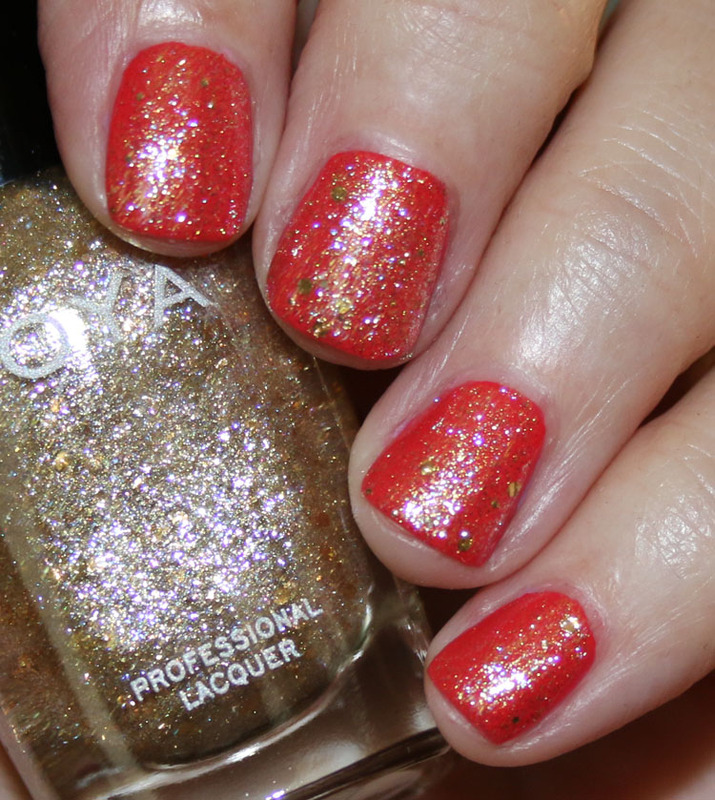 Nahla (over Virginia) is an iridescent gold and pink shimmer with gold glitter pieces. Delia is a lavender creme. Ellie is a raspberry pink creme. Karen is a cherry red creme. Clementine is a warm, peachy pink with gold/pink shimmer. This was the only one which was 3 coats. 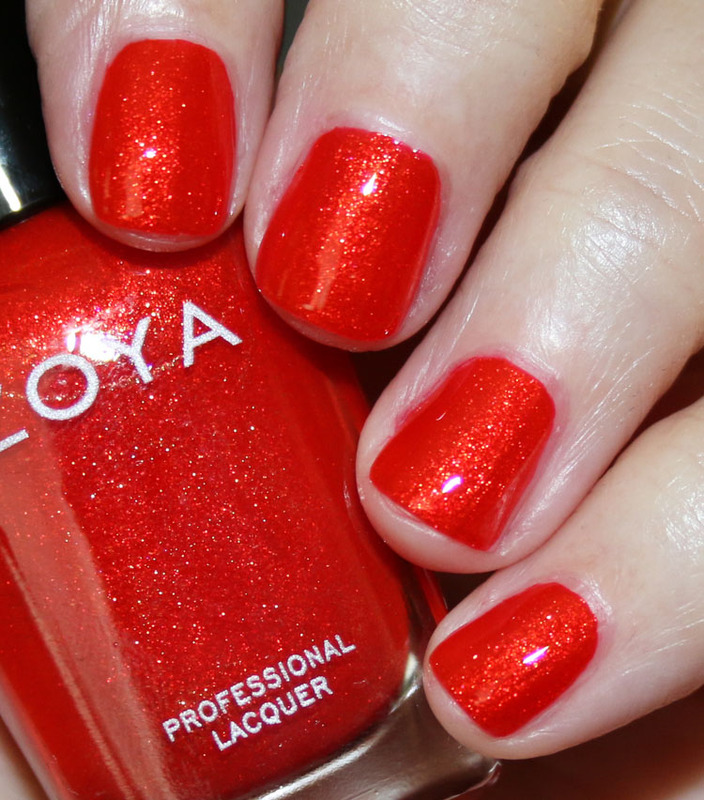 Marigold is a bright red with heavy red and gold shimmer. So there you have it! If I’m being honest, which I always try to be, this collection isn’t that exciting to me. I feel like most of these shades have been done a zillion times before and as a whole, the collection is a bit underwhelming. Having said that, there are a couple colors which I really like and do stand out to me, and they are Minnie, Virginia, Marigold and Saldana. 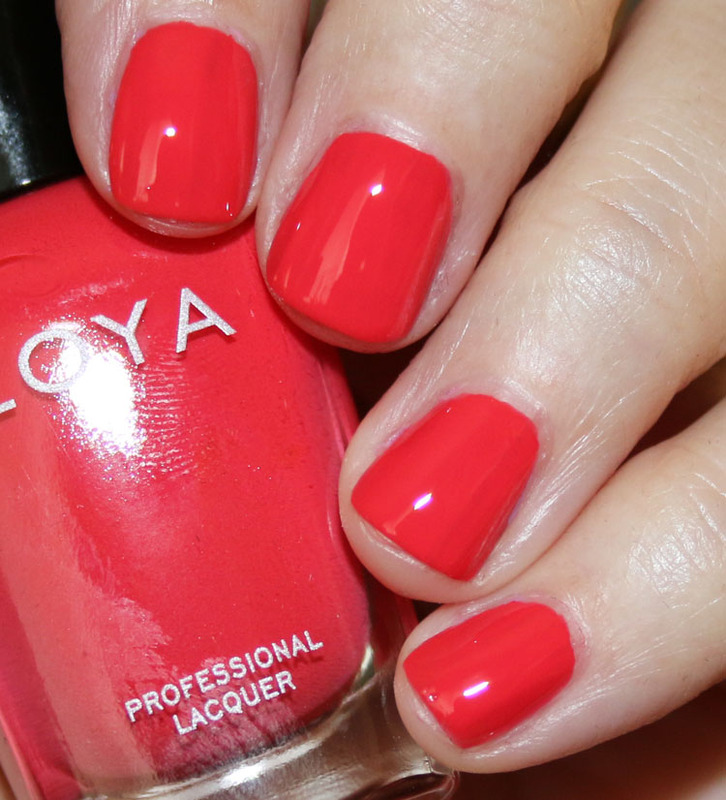 You can find the Zoya Sunshine Summer 2018 Collection on their site and in stores starting May 1st, and they are $10.00 each. Is there anything here you really want or is the collection not interesting to you at all? I’m with you — this feels completely uninspired, and just about all of these are shades we’ve seen a million times before. If I were forced to buy one, it’d be Marigold. I agree that this collection is a little underwhelming! I think I have several dupes of most of these colors in my collection but I do like Virginia & Clementine. Thanks for swatching!! 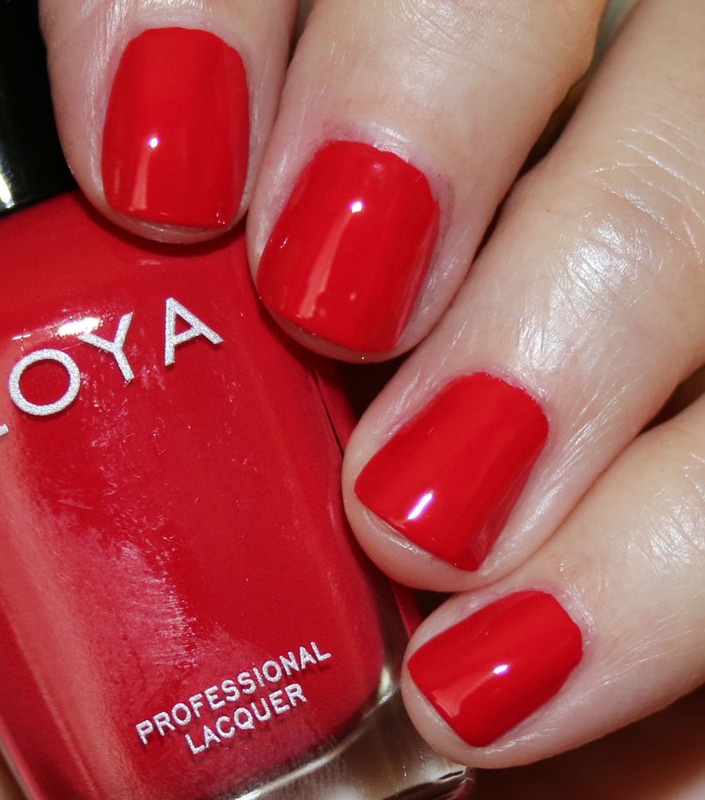 A Zoya Virginia is exciting for me, haha…and it’s a lovely color too! Shockingly uninnovative collection for them. I’m into Virginia, Karen, and Minnie. Really like Elle, but I assume I have something like it. Mysterious unnamed purple is probably one I’d like as well, but probably also have something similar. Thanks for catching the missing purple, it’s now fixed. I don’t love any of these. After that Unicorn teaser they put on instagram I was expecting a bunch of holos. I’m really disappointed. I do not own one single bottle of pink nail polish, and I’m not starting now. So sad. 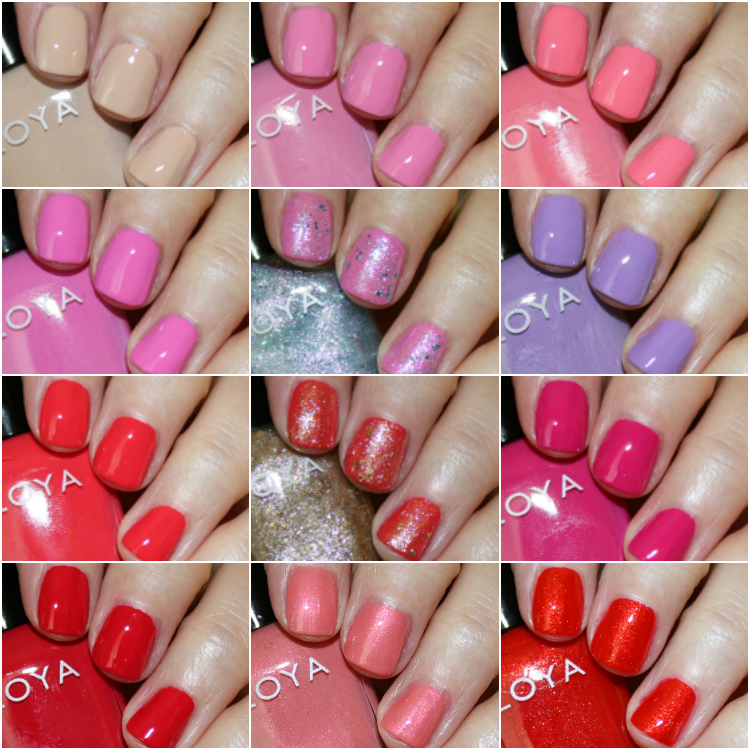 Zoya is my favorite because I get great wear time. Hopefully they will KILL it with fall this year! I like all of these colors, but you’re right that’s there nothing all that new. I really want to get Marigold and maybe Clementine and Nahla. I have enough that are similar to the others that I don’t need them. Glad you saw a couple at least! I am pretty underwhelmed as well. If I were forced to buy one it would have to be Minnie. But I will actually be passing it up too. I have so many of these shades. I feel like a lot of nail addicts will have many dupes for most of these. Over all, this gets a ‘humdrum’ opinion from me. It’s just underwhelming to say the least. The only one that I slightly might consider buying would be Marigold – that said, I think I probably have at least 5 or 6 close dupes for Marigold already – including ones from Zoya. 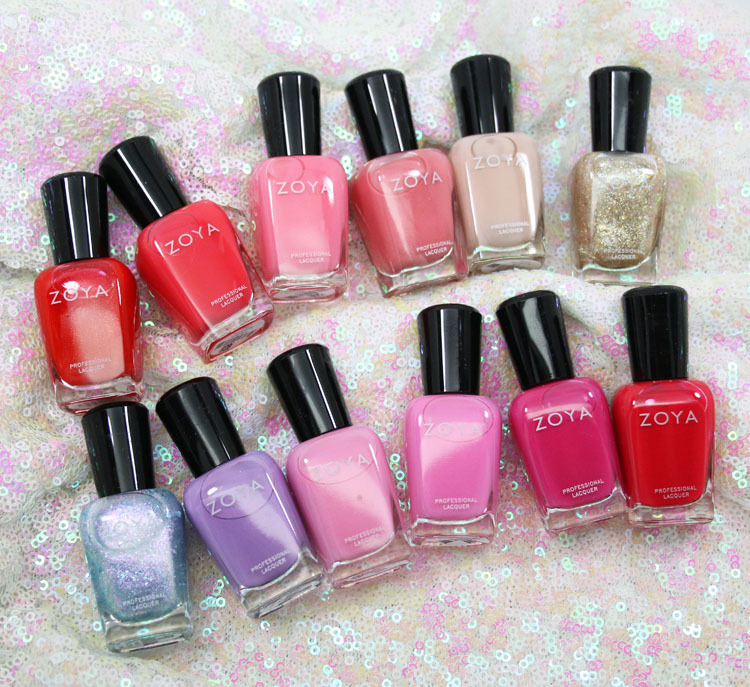 Zoya is my favorite brand, but they haven’t had anything exciting come out in quite some time. This collection is absolutely boring. I wish they would come out with more duochromes or something NOT pink. Gah. Yeah, these are the absolute basic of basic. Not my kind of thing. I never really paint my nails anyway (which is why it’s weird that I’m so obsessed with nail polish) but when I do, I like things that are exciting and unique and real show-stoppers. After the underwhelming spring collection, I’m surprised they decided to go with a 12 piece collection in a similar color palette for summer. Saves me money though 😉 Thanks for swatching! Not really feeling this collection but thanks for the swatches! 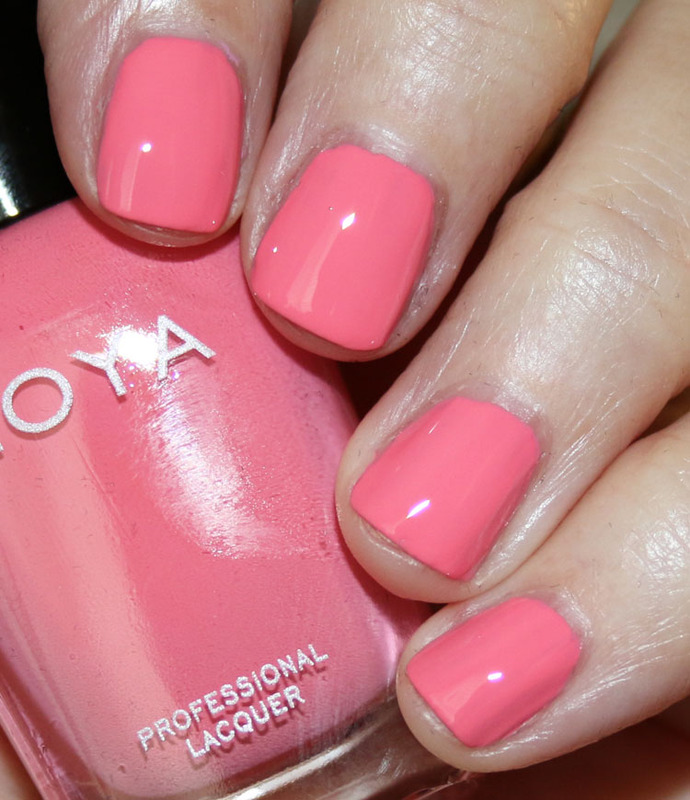 I couldn’t remember if Zoya came out with a summer collection yet so I searched and found your post. I’m definitely going to get Marigold. I was wondering, could Nahla be worn alone with two coats or would you need three? I think probably three since it’s not really a “full-coverage” shade.